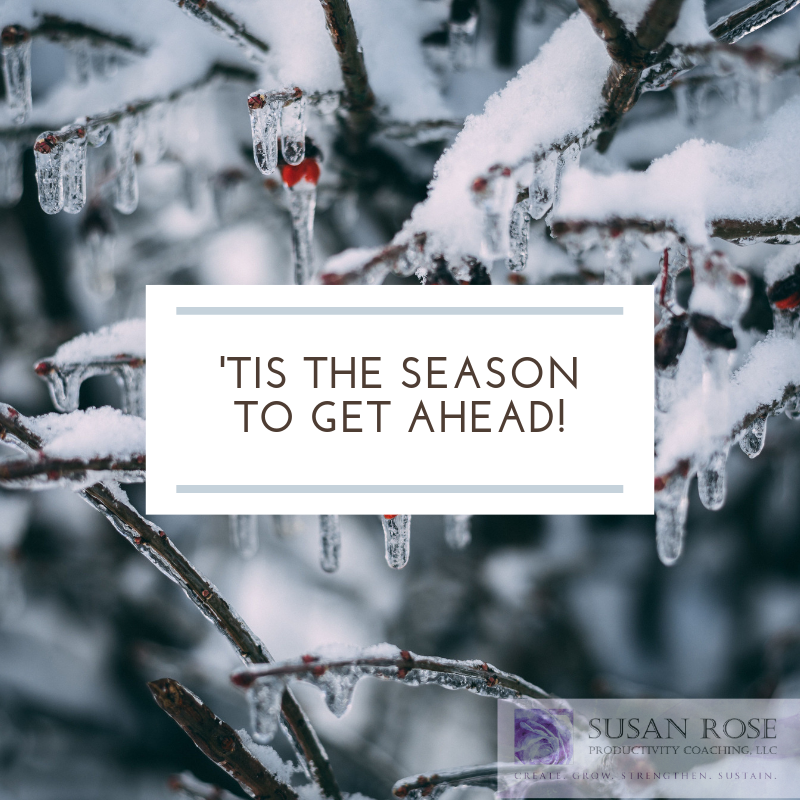 Tis the Season to Get Ahead! With Thanksgiving in the rear-view mirror, many realtors choose to mentally and physically check out for the remainder of the year. The focus shifts from lead generating and open houses to holiday shopping and opening presents. What an excellent opportunity to get a leg up on our competition simply by working in December and getting a head start on 2019! Competition from other sellers has lessened and serious buyers are wanting to lock in mortgage rates before the next increase. Holiday scents and your well-decorated listing can evoke nostalgic feelings, making it easy for buyers to imagine their future life. And, don’t just reach out to your sphere of influence and prospects about listings; use holiday get-togethers to share stories about some amazing listings, or “propportunities” (listings that represent incredible bargains based on price, location and/or condition) you’ve recently seen on the market. Create your blueprint for 2019! If you were unable to attend our live Business Planning Workshop, be sure to tune in to our re-airing of the Business Planning Webinar on January 10. Don’t start the year without a strategic, well defined success plan! If you haven’t already, create your “core 20” list. These are your best 20-30 key past clients, sphere of influence, and prospects that are considered your “inner circle”. Send them holiday cards and plan to meet during the new year. Call and talk to everyone in your database and to wish them happy holidays and a happy new year. Clean out your old emails! Delete everything that is not relevant to your business or your personal life. Organize the remaining messages into appropriate folders such as prospects, transactions, and whatever else you need. Go through the 2019 calendar and note legal holidays, your vacation days, kids’ school holidays, etc. Schedule your doctor/dental appointments and whatever else you know you’ll need to do NOW. Do these 5 things and head into 2019 with an action plan, a well-connected database, an updated, scheduled calendar, and a freshly organized email system. You will feel readier and more refreshed to tackle the new year than ever before. RUN, don’t walk, through the finish line. And maybe even line a few closings up for January! Don’t forget about the Business Planning Webinar! Be sure to register even if you can’t attend and receive the replay link after it airs!